This effect allows you to blend the source image with another image of your choice. 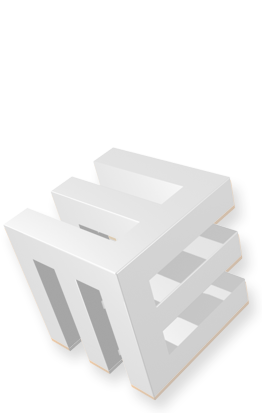 Image Object - The image object shows a preview of the image blended over the source image and controls its position and scaling. Left-click and drag to move the image object. Drag the corner/side handles to adjust the image object scale. Opacity (slider) - Drag this slider to adjust the image opacity. Interpolated (check box) - The image is rescaled using a higher quality resampling algorithm. 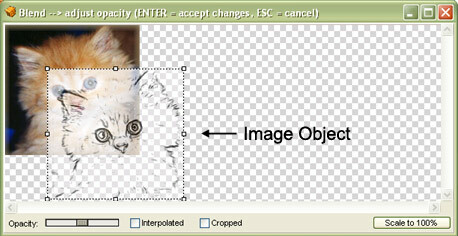 Cropped (check box) - The image object is cropped.